Looking for ways to retrieve deleted files means you have become a member of the group of millions of people who have undergone the situation that files get lost or deleted. Then searches are carried out to look for effective solution to get back lost files. Luckily, undelete solution is available for common users and better yet the solution is fast, easy, affordable and efficient so that even beginners can do it by self. Data loss can’t be avoided no matter how careful you are in processing and backing up data, the moment still comes when you delete significant files by accident, or Recycle Bin gets emptied before realizing important files are in it. Therefore, it is quite necessary to learn how to undelete files and restore deleted data. Undelete is the process of retrieving deleted data that deleted from Recycle Bin or removable devices. Data retainability makes it possible to undelete files. Deleted files are not erased from storage media immediate, and yet they keep staying on drive until sectors are occupied by other files. Though deleted files can’t be recognized by operating system, file recovery software enables users to see and regain lost files with original name and file path. Reasons that cause data loss can be mainly classified into three groups. First, files are deleted by mistake. Most users delete files and folder with the purpose of free up disk space, but important files might get deleted together. A useful undelete toll allows users to regain lost files as long as they are not overwritten. The second reason is that file system gets damaged. For example, partition becomes inaccessible. The last factor is virus which can delete files and damage system. 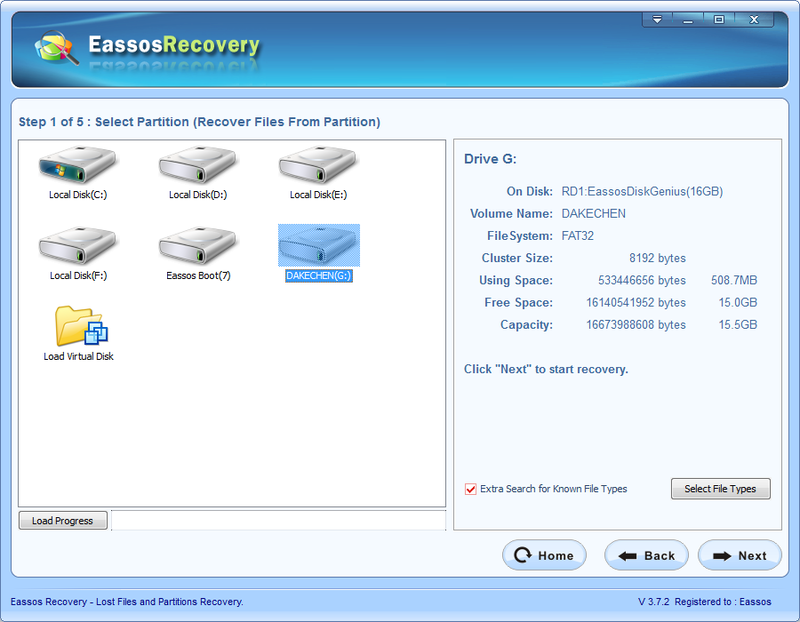 In such cases, advanced data recovery software is need to restore file structure and directory. How to undelete files with easy steps? Windows offers a solution which is Recycle Bin on the desktop. Deleted files are put into Recycle Bin temporarily before they get further deletion, so you can try your luck from Recycle Bin and then restore files to their original location. 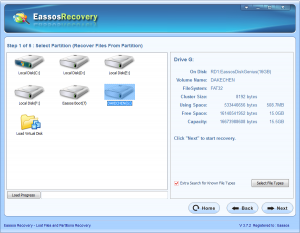 However, in those situations that files deleted from Recycle Bin or USB drives, you should try the second solution, i.e. data recovery software. 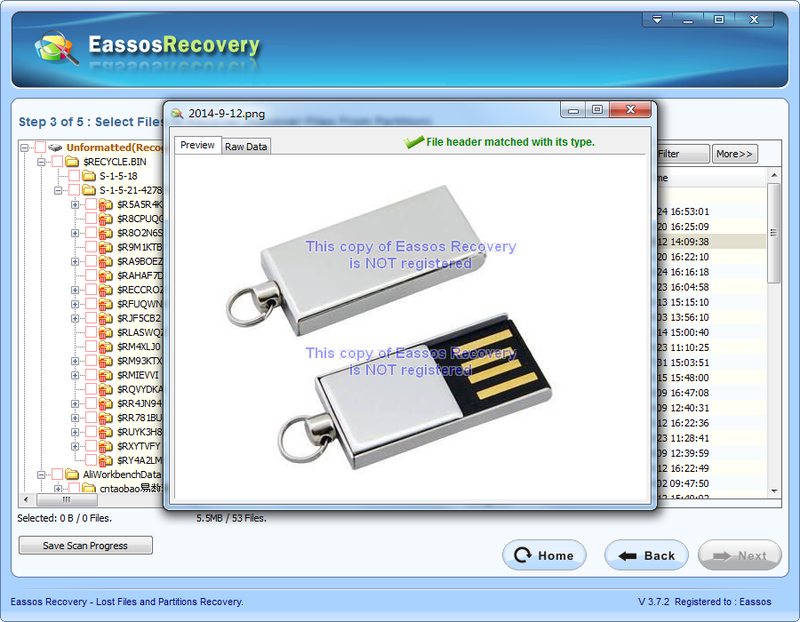 Eassos Recovery is one of the most popular data recovery programs, which is reliable and easy-to-use. The point is that it had a free version. Deleted files can be retrieved within three steps and the entire recovery process requires only several clicks of mouse button. Step 3: After file scanning, you can preview all listed files one by one and select those you need. Then click “Next” button to get then recovered. 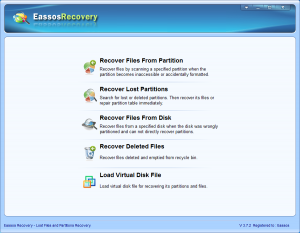 This entry was posted in Data Recovery and tagged recover deleted data, recover deleted files, undelete files by EASSOS. Bookmark the permalink.